At Nature Day Camp, we inspire children to build lifelong, meaningful relationships with the natural world as we help them catch frogs at the pond, create a miniature homestead village in the woods or learn how to paddle on a river. Groups are kept small to ensure an excellent learning opportunity for everyone. Campers ages 3-16 will make new friends, gain confidence in outdoor skills and get dirty as they explore Chippewa Nature Center and beyond. due to local schools extending the school year to make up for weather-related missed days. Who can attend? 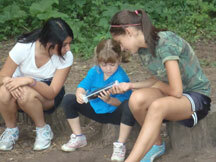 Children ages 3-12 who are enrolled in a regular, full-day session of Nature Day Camp. 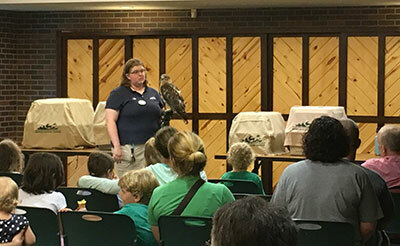 This program is not available for camps help at the Nature Preschool building (all half-day sessions and Habitat Hunters). Where is it located? Drop off and pick up are at the Homestead Barn. How is it staffed? Two staff will be dedicated to this program each week – a Program Coordinator and a Junior Counselor. All of these staff have been involved with camp for 3 years or longer. What will the kids do? Campers of various ages will explore projects chosen by them, such as free play, exploring ecosystems or making art projects, all while building friendships! Snacks will be provided each afternoon and a special breakfast will be provided Friday morning. How do I register? Log-in to your CNC account, click Existing Registration, choose View Details next to your Nature Day Camp registration, then click Update. When you get to the screen where you added camp sessions, just select Camp: Extended Edition for the same week(s) your child is registered for camp and continue through to check out. The new balance will be displayed. Once you pay and check out, your child is registered. You may also call us at 989-631-0830 and we can register you over the phone. 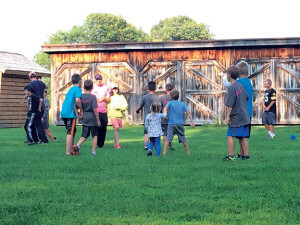 Please note: If your child is registered for Chippewa Rangers, Advanced Chippewa Rangers or Eco Adventures, you will need to register your child separately for both weeks of Camp – Extended Edition. There are a limited number of spots each week, so please register well ahead of your camp session. Near the end of each summer, Nature Day Camp staff host an All Camp Picnic welcoming campers and their families to celebrate the summer at the Homestead Farm. 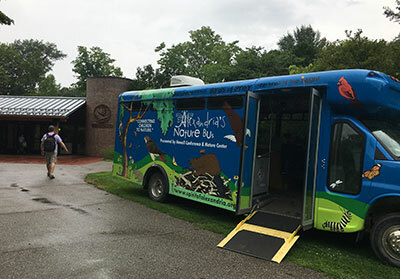 In 2018, through the generous support of the Spirit of Alexandria Foundation, Alexandria’s Nature Bus from Howell Nature Center participated in the All Camp Picnic giving families the opportunity to learn about Birds of Prey. The Spirit of Alexandria Foundation was started in memory of Alexandria Bennet. 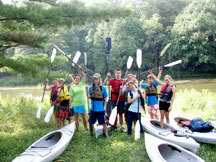 The foundation’s mission is connection children to nature. More information about the foundation can be found at their website, www.spiritofalexandria.org. Enthusiastic teens who enjoy working with young children in an outdoor setting can volunteer as Counselors-in-Training (CITs)! CITs assist a counselor with their group of campers throughout the day by leading games, helping with crafts and supervising lunchtime activities. CITs must be between the ages of 13 and 17 and be available from 9 am-4 pm Monday-Friday (Leaders-in-Training participants will have the opportunity to volunteer after they complete their camp session). We ask that CITs commit to at least two weeks of volunteer work.